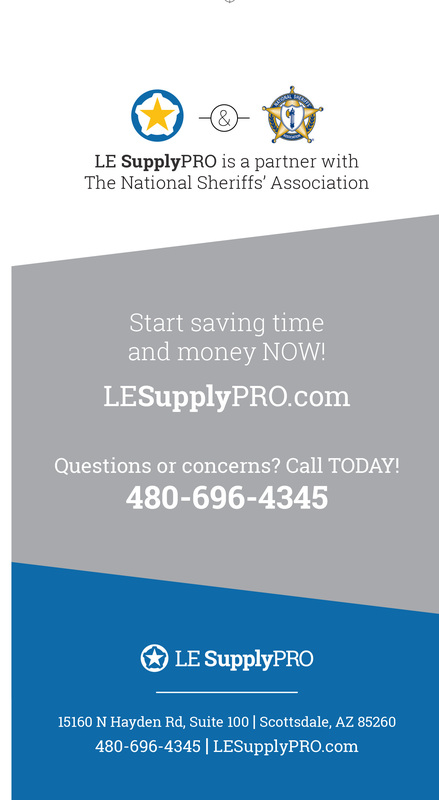 Sheriffs and buyers, we’ve got your back. There is an easier way! 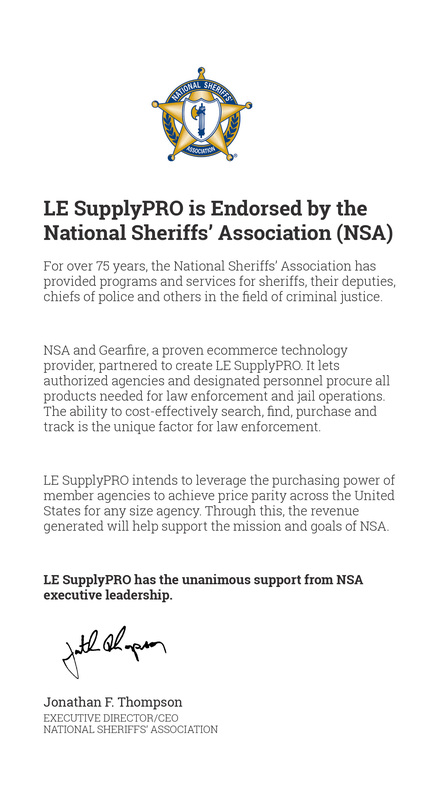 The National Sheriffs’ Association led the way to create a technology solution that allows EVERY Sheriff’s office to procure what they need, all in one place. 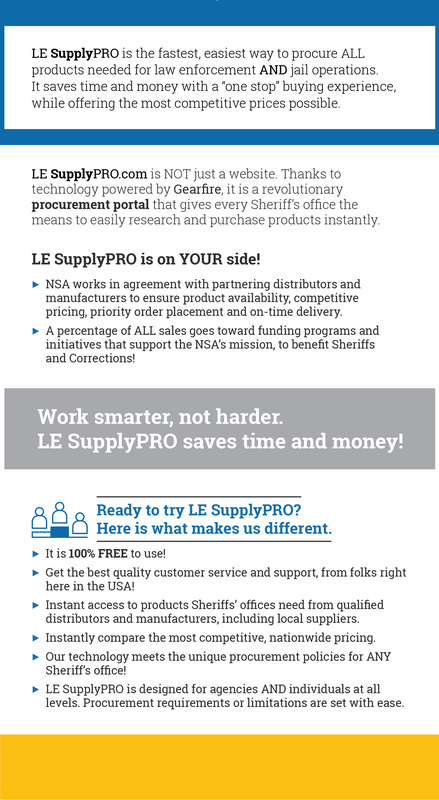 LE SupplyPRO.com was created through partnerships with law enforcement equipment manufacturers and distributors nationwide. 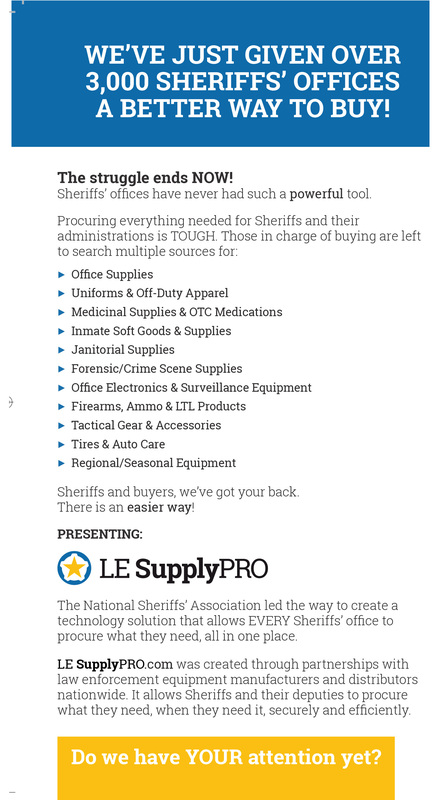 It allows Sheriffs and their deputies to procure what they need, when they need it, securely and cost efficiently. Use arrows to scroll through the gallery. 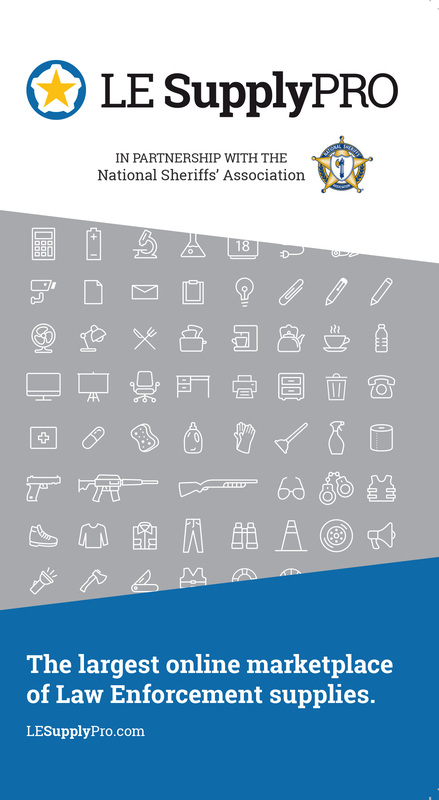 Click image for a larger version on desktop computers. 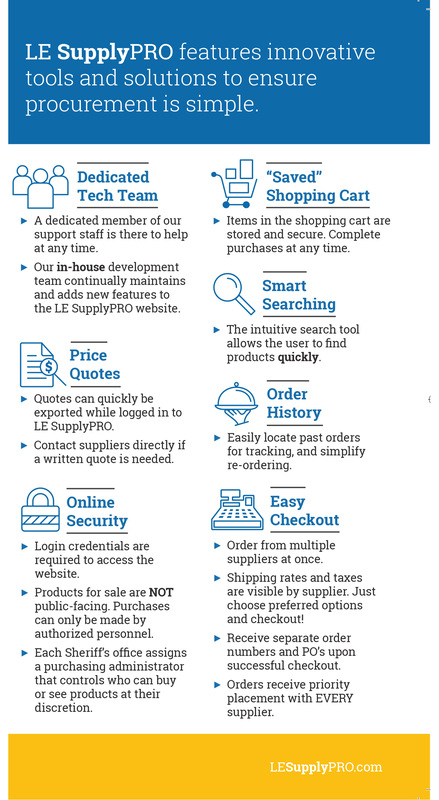 © Copyright 2019 LE SupplyPRO. All rights reserved.